Change done well builds trust. Change done poorly erodes trust and your organizational culture. Each new project and initiative creates change, whether it affects the entire organization or just one role or team. Think of organizational change management as the salt added to a dish. The salt is not the main dish, but it can dramatically enhance and improve the dish (your project). Many changes that we face are due to things beyond our control—market conditions or mandates from the top. 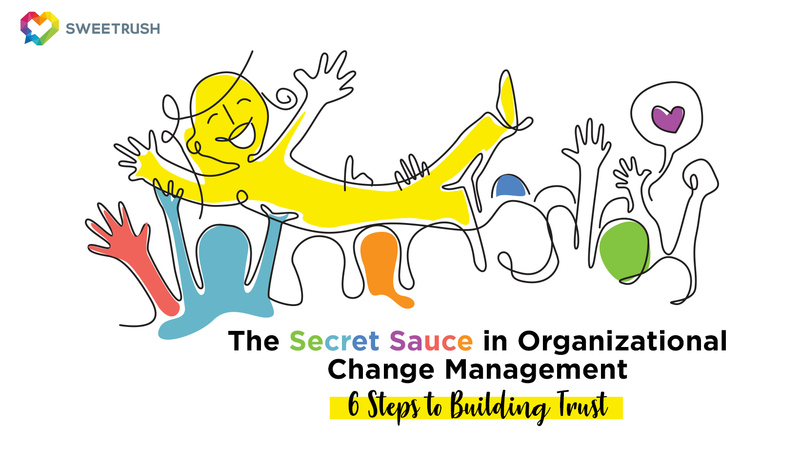 Even when we don’t choose the change, and especially when people around us may be resistant, these six steps for organizational change management will bring people into the process and build genuine trust. 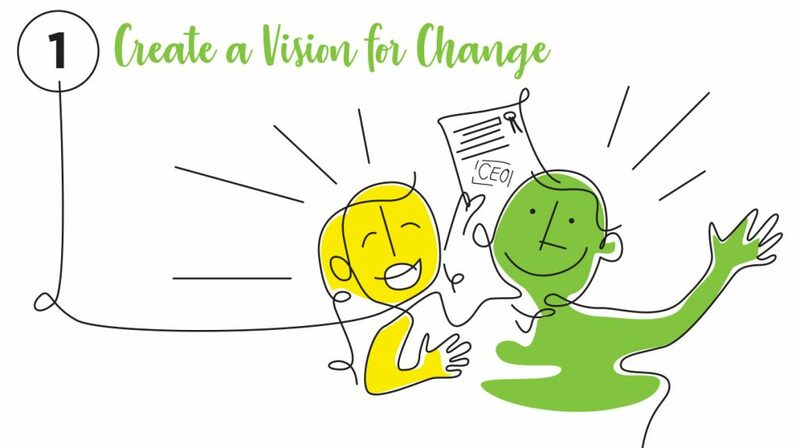 Your vision doesn’t have to be lofty, but it should always state the business case, the reasons senior leadership supports the change, and the expectations during the change. Team members typically want to hear from two people during change: (1) the CEO or top team and (2) the person to whom they report. A written vision statement will create consistent messaging and enable each manager to create a strategy to align with the vision. if you can get a statement from the CEO or other top team member endorsing this change! Create a list of all departments potentially affected by this change, and invite one person from each department to a meeting to identify roles that will be affected by the change. It is easy to overlook those who are not directly in our sight line. One of your most powerful tools is to let people know that you are considering them. 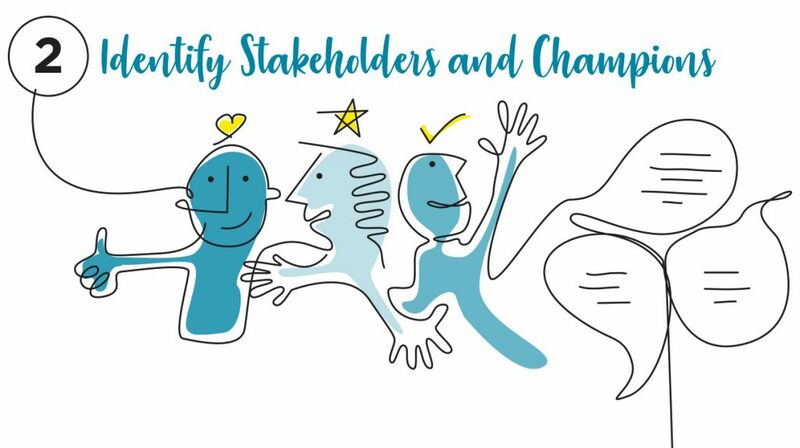 Identify a Change Champion who will guide the human side of change. This involves communicating, listening, coaching, and realigning the strategy as needed. This person should be well respected among the stakeholders, empathetic, and someone who carefully tracks the stages of change. if you have the time and resources to interview a sample of people in different roles about their views on the upcoming change. Identify the stages of the change and what will be expected of each affected role. Decide what needs to be communicated, when, and to whom. Research the best channels to share your messages. Reinforce the compelling vision statement each step of the way. if you are humble, funny, and honest. Don’t inflate the vision. You can name challenges, but stay upbeat and focused on what you want to, and can, create. These next three steps are the “secret sauce” of organizational change management and are often neglected. One of the most powerful ways to build trust among team members is to collect and act on feedback. This does not mean that you will act on all the feedback or do exactly what’s requested. It means that all feedback is considered in light of the vision and constraints. Feedback can come through one-on-one interviews, town hall meetings, webinars, or digital surveys. When you request the feedback, be specific to find out the impact of the change on stakeholders, their fears, their hopes, and any suggestions they may have. Just the act of listening alleviates some of the stress of change. When you request feedback, let people know what you will do with their feedback. if you provide a report of the feedback to all stakeholders. Trust is based on what you do, not what you say. Take a long, hard look at the feedback, and think about the vision and constraints of the project. Was there a paramount concern for a group of stakeholders? Is resistance due to lack of clarity in communication or a threat to a genuine need? There is wisdom in crowds, and sometimes a team member can be the canary in the coal mine. Bring together a team to analyze the change plan and see how you can adapt based on the feedback. Prioritize the actions and make it happen. if you involve stakeholders in creating solutions and an action plan. Let people know that you’ve heard them, and tell them about the actions that you’ve taken. Again, be humble, and share the vision, considerations, and constraints. Remind them that while you can’t act on everything, you hope that actions taken will create more buy-in. Let them know that they are important and that your door is open for ongoing feedback. if you can get a statement from senior leadership that shows their commitment to collaborative change and that names one action they will support based on the feedback. Organizational change management is like the African proverb “If you want to go fast, go alone. If you want to go far, go together.” It’s not always the fastest route to garner feedback along the way, but it is the best insurance against dissent and disengagement, which erode performance. Take the long view, engage the right people, and create positive and lasting change. Keep these 6 Steps to Building Trust handy: download the infographic version here. Interested in how SweetRush can help you with change management? Visit our Change Management page and learn more about our services.